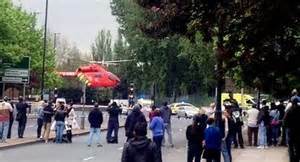 The callous and cold-blooded attack on three people in Woolwich, London today sent shock waves through the country and the world. People from all walks of life were sickened by the attacks and one of the alleged men responsible was seen on the news with a bloodied machete and his hands covered in blood. Most vented their anger at this, saying that he should not be given a platform to spread his evil and misguided beliefs to the world which many television news programmes were showing. I was and still am in two minds about this. I agree that terrorists, freedom fighters or whatever you want to call them should not be given heroic status for they encourage others to take up arms for a very sick and misguided cause but there is also another point of view. For many decades we have reported stories like this and have shown much worse on the news over the years, highlighting the suffering of others on both sides. Some causes are just though but even that can be a very fine line where human life is taken and sometimes not even in a clean and humane way as we have seen today with this barbaric murder for murder is what is was. But whilst this can be disturbing, it sometimes is necessary to show what extent some will go to for their brainwashed beliefs. I am not religious myself but it seems that most, if not all religious teachings do not preach violence; only man does and that is where the problem lies. A lot of groups out there misinterpret the teachings and use it as a weapon for their own needs, preying on the weak and the helpless and recruiting from these people too. This usually happens in very poor countries but since the 9/11 attack these groups have recruited very much closer to home and it seems to be a growing problem that can only end badly if nothing is done to stop it. After the attack today, a fascist right-wing group who I refuse to mention was said to be preparing to march down to Woolwich to ‘protest’ their views on the Islamic people no doubt. I find this a very sick thing to do, especially as the victim has not been buried yet or even cold. I believe in freedom of speech but sometimes there are those who do not deserve such privilege. I have grown up in the wake of IRA attacks on mainland Britain and everyday was like a very bad lottery; wondering where a bomb may lay. They were supported by many in America where the IRA went on sickening fund-raising events to buy weapons to attack us, their direct brothers and sisters for we are also fellow Celts. I supported a united Ireland and still do and one day it will be achieved but I have never supported violence to support political or religious gain where they would not do any better in power anyway. The pen has always been mightier than the sword. As for it being their country, history and archaeology says otherwise. They stole it like many nations around the world and the north was mainly bog land where no one wanted to settle for it could not be farmed but the Picts and then the Scoti tribes saw otherwise whilst the Celts left it be so historically it belongs to Scotland who mainly make up the who population of Northern Ireland anyway. Education is the key here and always has been. Ignorance and fear have always ruled and groups like the IRA, UDA, UDF, UVF and so on know how to control the weak and the uneducated. Propaganda is a powerful tool. Hitler knew how to use it well. The same applies to the attack today. These people are controlled and do as they are told by their leaders and controllers. It has always been so. 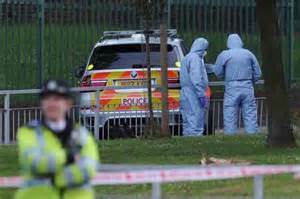 The alleged attacker had a very strong London accent but that does not mean he was born here, possibly elsewhere but we shall have to see what occurs over the next few days for everything is conjecture and theory at the moment. But what stands out in all this for me was not the words Allah Akbar but his apology to the camera and people around him, especially to the women who bravely and dangerously intervened to confront them. It was as though he had some minor disagreement and wished to make amends. He then proceeded to rant on about his country, saying ours needed to be taught a lesson, or as close as. He seemed confused and dazed and himself in shock, unsure of what he had just done? At the time of writing this it was reported that there were a possible three victims but it seems there was only the one who took the force of the killers anger, of which he may have been beheaded with a machete plus there was a possible bomb maybe but it was the possible beheading that was the shock. How could this happen on our small relatively safe and beautiful island and in a civilized world? 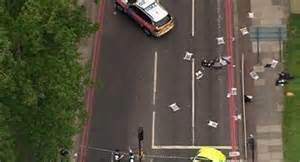 Once again, we are used to terrorist attacks in Britain having dealt with them in effect for centuries by various factions and people trying to force their ways onto us. But we always shake our heads in sadness and rise above such things and carry on as we always have done for it is the British way. I do not believe in patriotism for it is indeed as dangerous as religion but sometimes I do love this island I was born on. Whilst the Boston atrocity was indeed shocking and sad, you will see no celebrating here of those responsible being killed or taken to prison. They will be forgotten and left to rot in a gaol unlike the victim who shall be remembered and honoured as should he be. He was just a man going about his business and when misguided hate struck and took his life. May he rest in peace and those responsible pay for their sickening crimes and those that are thinking of further attacks know this; that we will never fall to your hate or false beliefs. We fear nothing, whereas you fear life. We have been through this many times and shall never be beaten. History shows this. Like the us of a Britain has sown the wind and is only beginning to reap the whirlwind. Britain has been reaping the whirlwind for well over 1500 years through Celts, Vikings, Saxons, Normans and various other nations. Then there was the IRA, UDA, UVF and so on and so forth and as for the Islamic nation; we have been at ‘odds’ with them for over a thousand years, yet still we endure as a small Island nation. There will come a time though which I believe is soon when the people will say ENOUGH and something will change. I for one hope not to see it in my lifetime for the streets will run red I think. The very disgusting EDL are scary enough. I thank the stars above that we are not a country that has guns otherwise we would be in a whole different and dangerous situation entirely. The only reason Britain is in this mess now is because of the help it gave America after 9/11 by going to war with the Middle East but that’s a different blog post entirely. Is the death penalty warranted for these terrorist douchebags? Hello Olive. No, it’s not. We don’t have the death penalty in the UK thank god for if we did then we would be worse than these that commit crimes like this. I am against the death penalty for many reasons, one being that it is simply barbaric and far too many innocents have been murdered legally because the evidence that convicted them was wrong! In the UK, one of the last people we hanged was Derek Bentley on Jan 23rd 1953 who supposedly said, ‘Let him have it!’ to his ‘friend’ Christopher Craig who was holding the gun that killed a police officer. Craig was 16 years old at the time and Bentley was just 20 years of age, but it was his mental age too that was of concern. I won’t go into too much detail and I shall leave a link on the case for you to look at but this case is one of the reasons why we have outgrown the barbarity of the death penalty. To put it quite simply, the law and convictions are not always right and then what do we do when innocents have been hanged, electrocuted, injected by law for a crime they did not commit? Do we then do the same to those that ordered the execution? No, the death penalty must not come back to these shores. Tougher prison sentencing with no comforts for the prisoners and longer terms for some but also a better education system and less segregation between poor and rich, black and white, Christian and Muslim for it is this that causes a huge amount of resentment as well as a lack of jobs and so-called mass immigration that the news and the gutter press report. People feed of the press and use those opinions for themselves, little able to make their own judgements with their own two eyes. I find this very sad and a little scary. At the end of the day though it is all about education and always will be and it will be this that will win the day. Those two alleged killers of the Woolwich attack were just normal Londoners who somehow down the line lost their way, growing disillusioned with their surroundings and country. If anyone should be criticised then it is our own government for being so far removed from us and this goes for all governments all over the world. It can only end badly if they continue to close their ears and eyes to what is happening in their own countries that elected them.